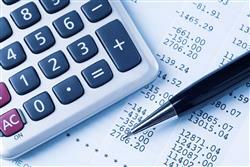 Invoices can be broken down in to costs for product, labour and travel. Recurring invoices can be produced for those customers making regular payments, I.E. rental payments or monthly subscriptions. A general financial overview of all products purchased with individual payment status and amounts outstanding. 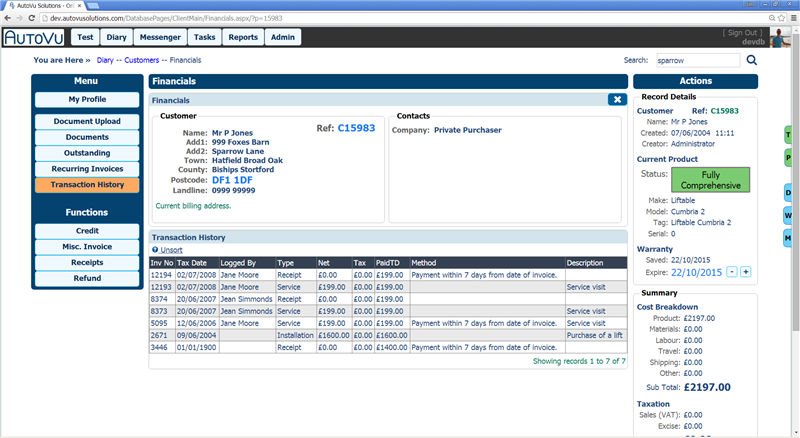 Instantly view each customers payment status with details showing invoices created to date and receipts made on account. AutoVu Solutions Financial module can help speed up the process of converting job ticket costing details into customer specific invoices in a matter of minutes. AutoVu Financial lets you create invoices you can print or email directly to clients for faster payment, with alerts to remind you about unpaid invoices. For your retained customers or regular orders, you can set your account up to automatically create the same invoice on a recurring basis – daily, weekly, monthly etc. 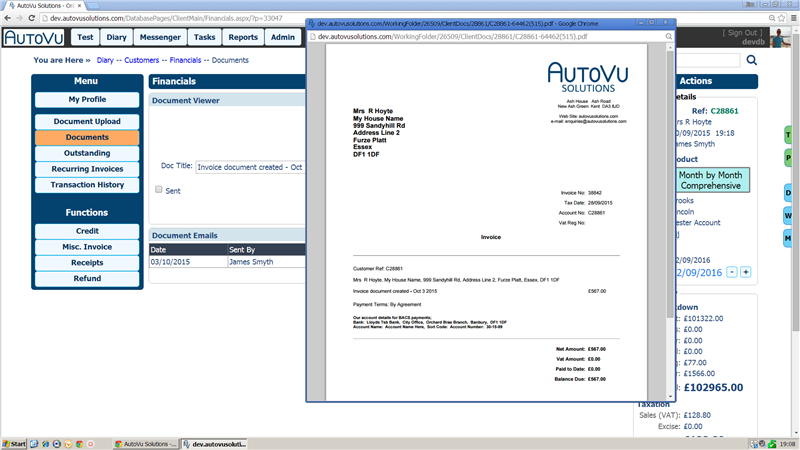 You choose when and AutoVu will prepare the invoice on time, every time. Invoice details are automatically linked to your customers and suppliers for simple, intuitive and easy reporting of all your financial data. 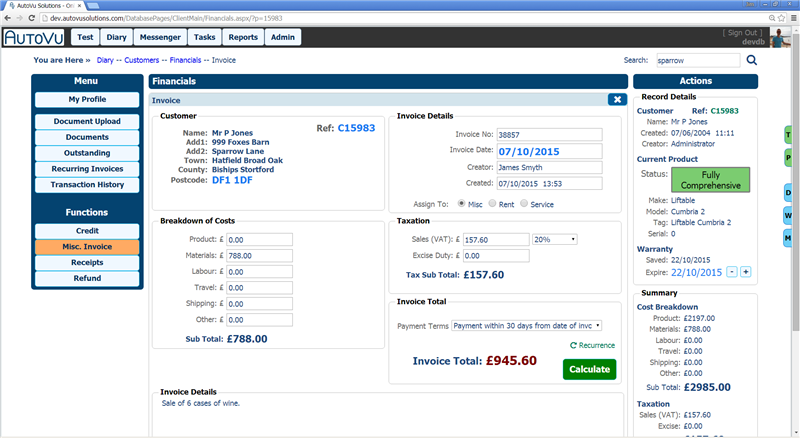 General invoices record product sales with a full breakdown of costs for time, product, labour and materials.